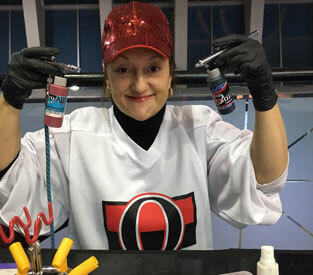 Fantasy Face Painting works all types of events for all types of people, ages, and all seasons. Corporate events, charity, Church, community street parties, Museums and Heritage Houses, festivals, private parties, summer and harvest celebrations, Halloween, Christmas, Hanukkah, Easter, sports events etc. 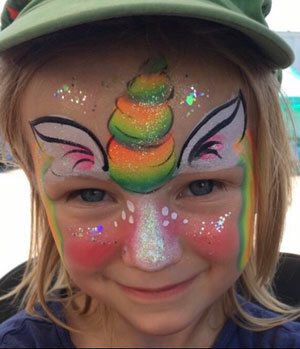 Fantasy Face Painting can create designs to fit your event! There’s nothing more fun than children’s parties! 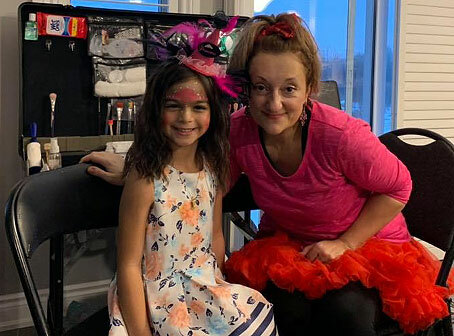 Fantasy Face Painting can bring a variety of talents to your child’s special events and even arrive in costume! Working at many festivals since 1994 has given me lots of experience at working very fast and dealing with crowds. My tent is professional looking with design boards and colorful pictures. 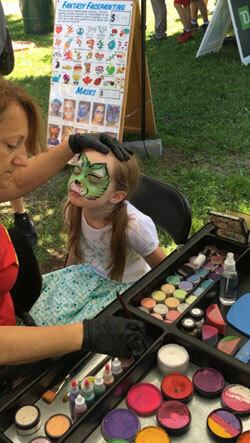 Fantasy Face Painting delivers a great looking booth and a fun service that any festival would be glad to host.